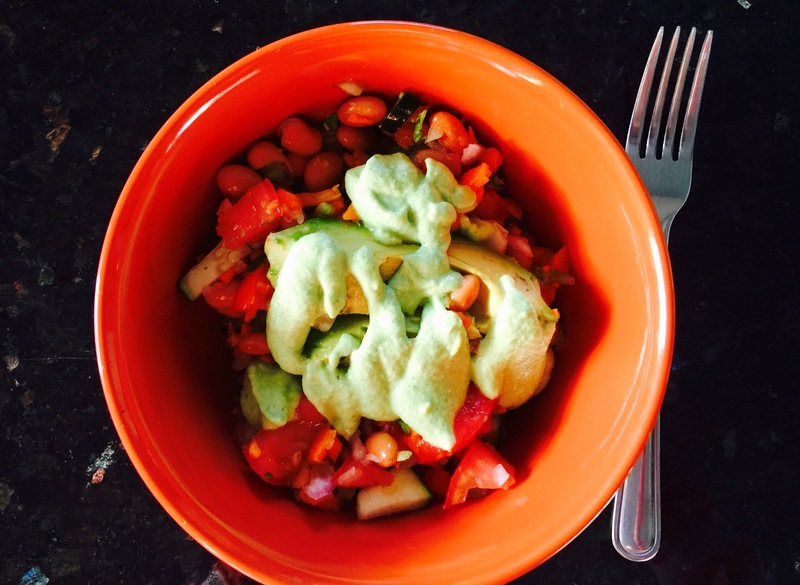 This summer, my go to meal has been a chopped veggie salad. I fill a big bowl with a variety of fresh veggies, chopped up into bite sized pieces, and store it in the refrigerator for ready to eat meals. 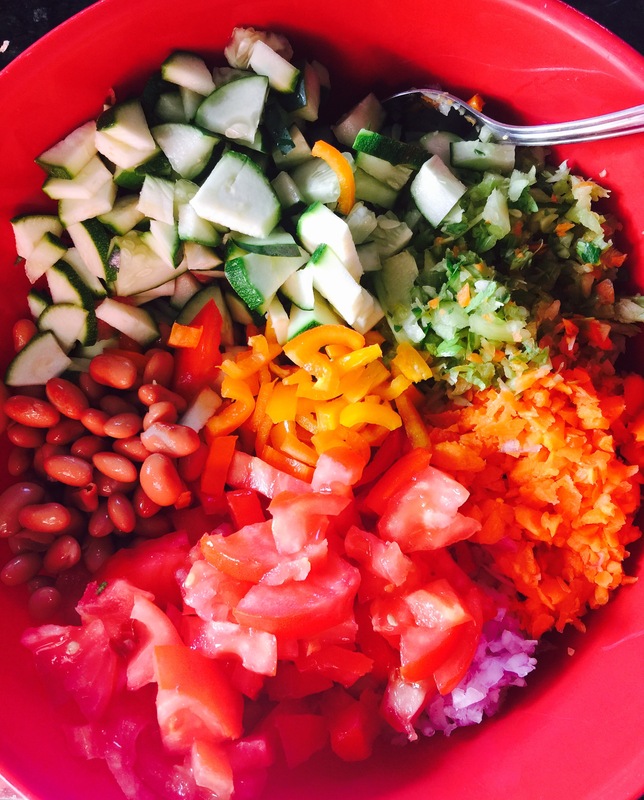 The beauty of the chopped veggie salad is the simplicity of it. Any on hand veggies can be combined, and the longer it is in the fridge, the more the flavors blend. I frequently combine green, red, yellow and orange peppers, banana peppers, zucchini, yellow squash, carrots, celery, red onion, avocado, tomatoes, cucumber, kale and spinach. Mushrooms, beets, broccoli, cauliflower, cabbage, sunflower seeds, walnuts or jicama could be added as well. For increased protein, I include cooked pinto or black beans, or garbanzo beans. The possibilities are vast! What to put on these bowls of goodness? Truthfully, the combined flavors of the chopped veggies are sufficient without additional dressing. 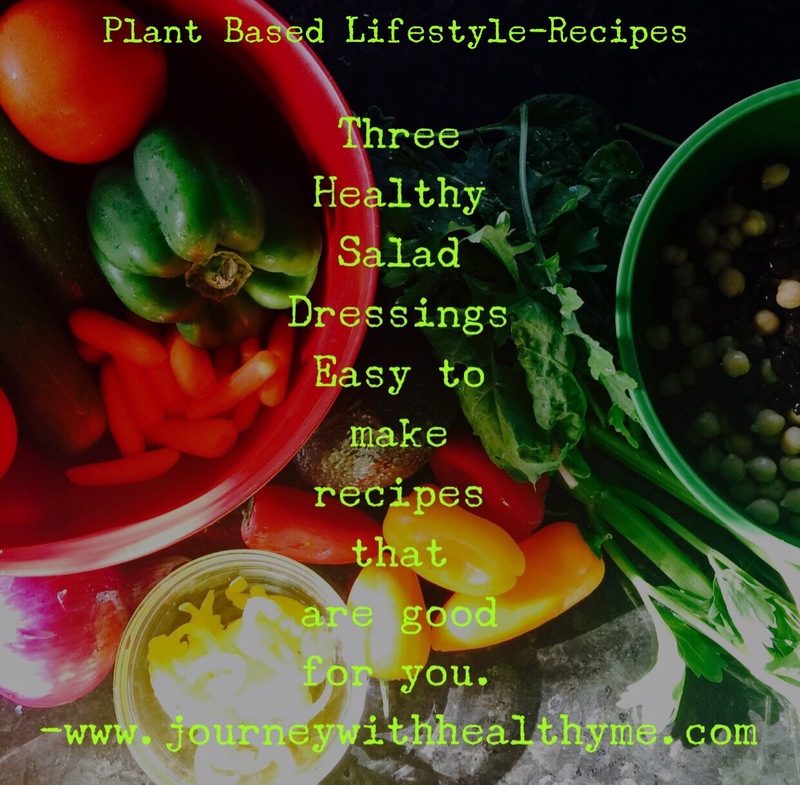 However, here are three wonderful dressings that are simple to make, full of flavor and healthy too! 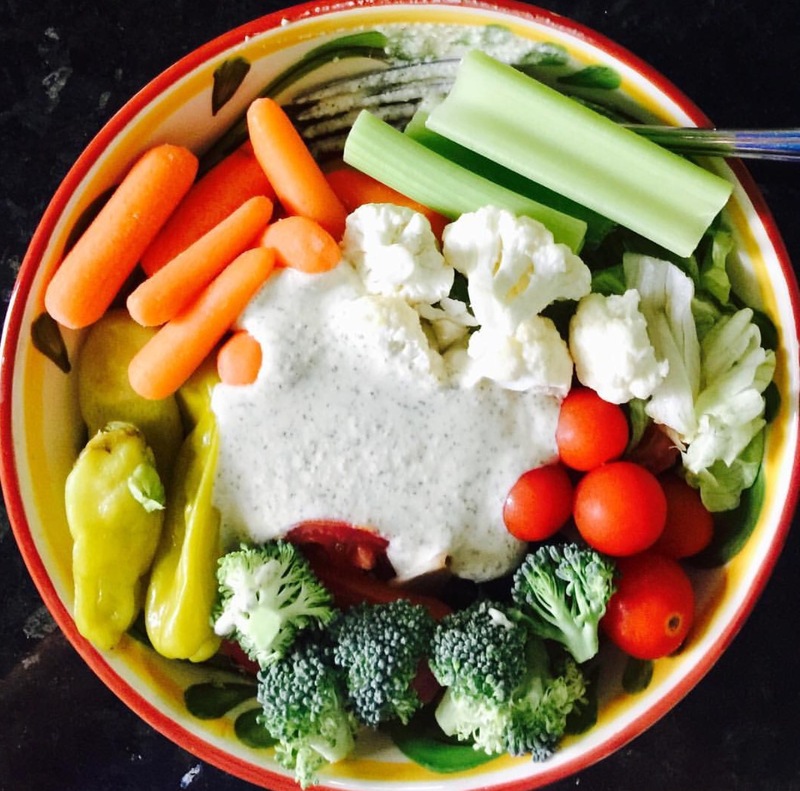 If you enjoy ranch dressing, try this dairy free, sugar free version. 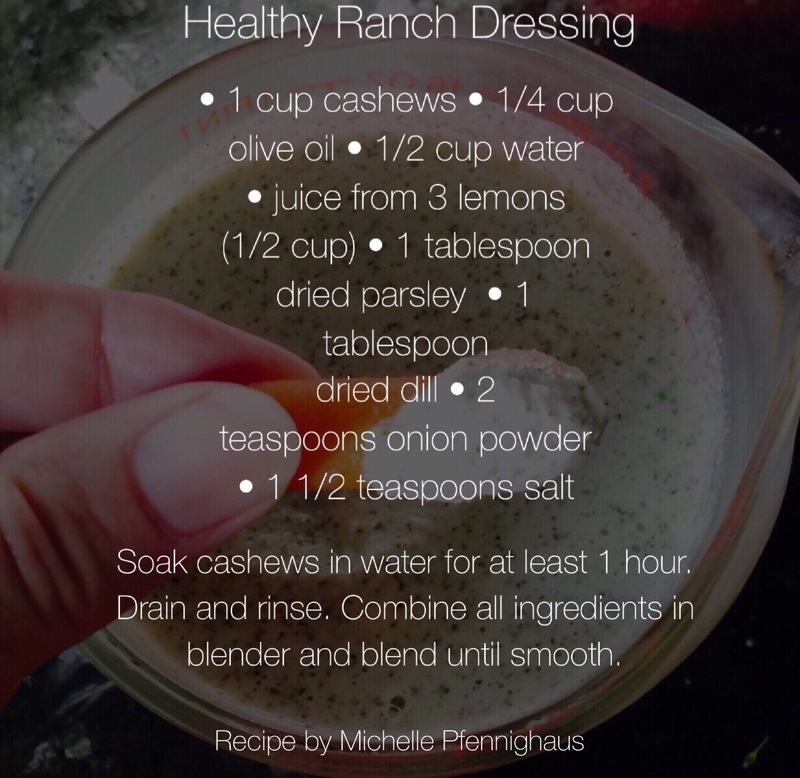 It is amazing, using cashews as the base, how flavorful this dressing is. Use on salads and also as a dip for fresh vegetables, roasted potato wedges or as a topping on veggie chili or soups. This light, tasty dressing begins with a cashew and zucchini base. Always soak the nuts first, to make blending easier and the dressing smoother. I grow sage and other herbs in my garden. 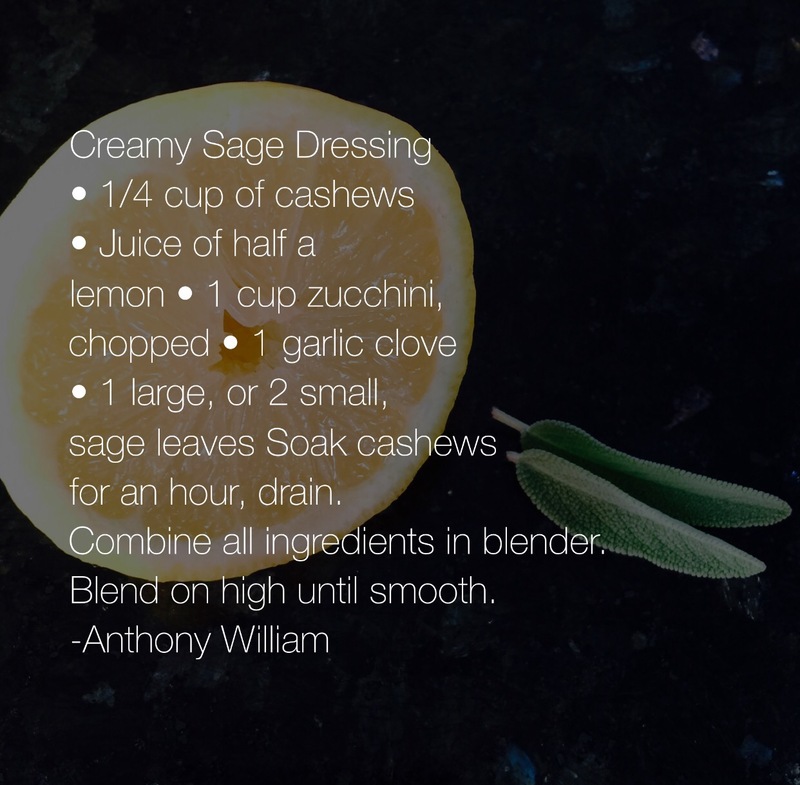 I love picking sage leaves to include in this dressing. I am looking forward to adapting the recipe and substituting other fresh herbs for the sage, for variety. 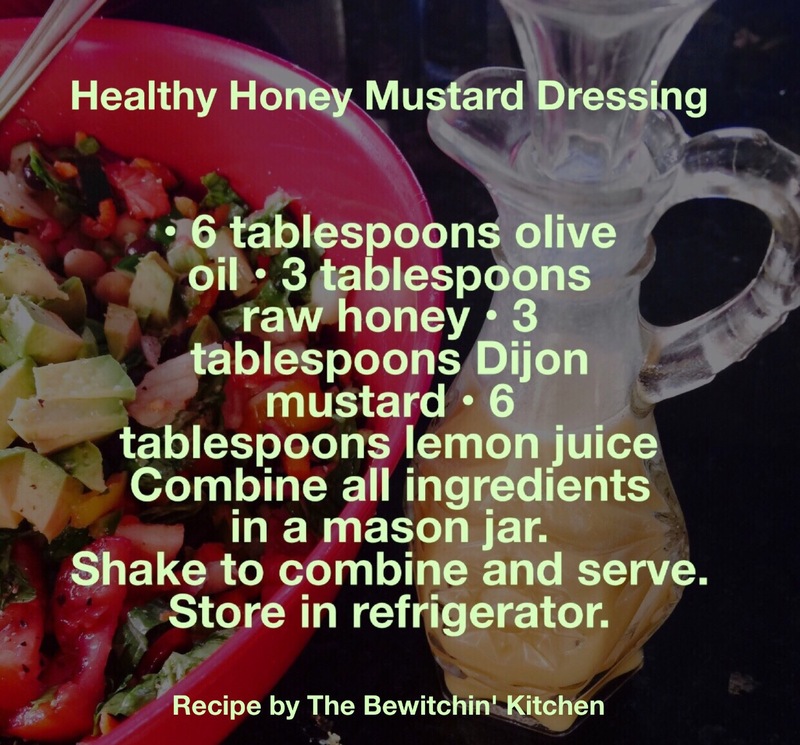 I like honey mustard dressing, so I was delighted to find this easy recipe on Pinterest. Combine the ingredients in a mason jar and shake to blend. The dressing can be stored in the same jar, in the fridge. I have a vintage cut glass cruet that I enjoyed using to store and serve the dressing in. This light and tangy accompaniment is perfect on a chopped veggie salad or used as a dip for vegetables or roasted potato wedges. 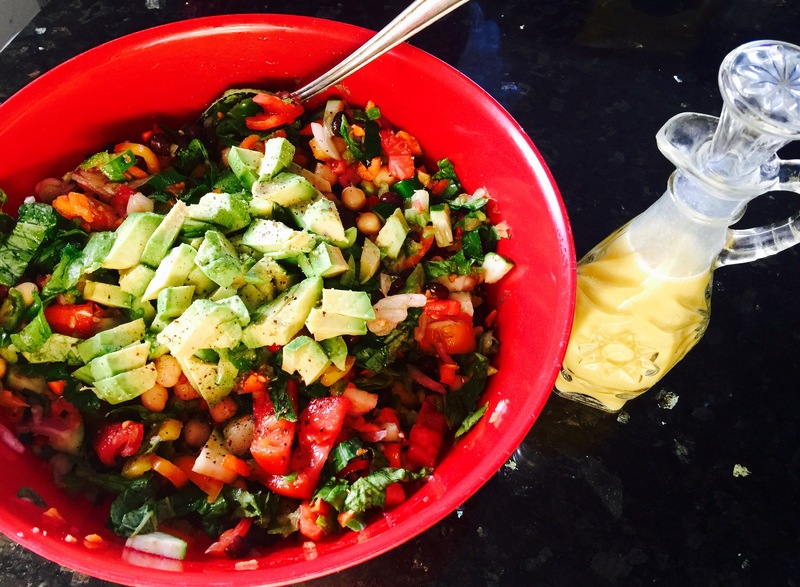 I feel good about creating these healthy versions of favorite dressings. Taking the time to care for myself by preparing food that nourishes my body goes beyond eating in a healthy way. It becomes a soul nourishing experience as well. Bon appetit! Here is to our continuing good health and wellness, and our healing journeys.